As Hooper describes the genesis of this film, "I began assembling footage to visually relay what I had found for my wife, my sister, and a couple of dear friends. 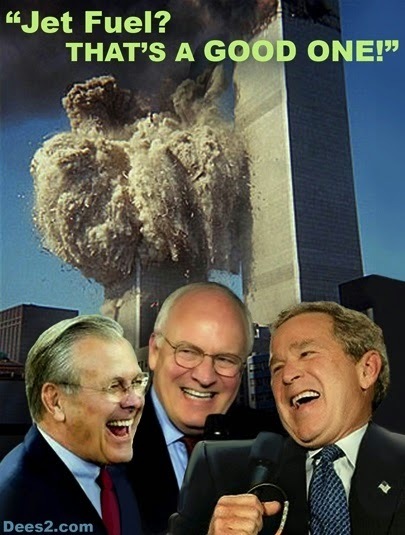 This footage turned into the documentary The Anatomy of a Great Deception." Hooper's amateur documentary succeeded to convince his family where other documentaries failed. As word of mouth spread, Hooper decided to raise money to take his film to the next level and professionally release it so that others in the 9/11 truth community could share it with the people in their lives. 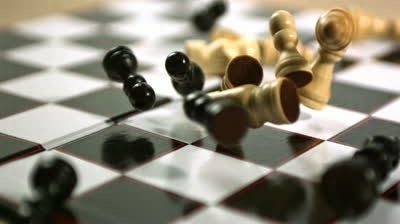 That explanation spoke to my education, but I thought of a much simpler way of finding the absurdity in this situation. 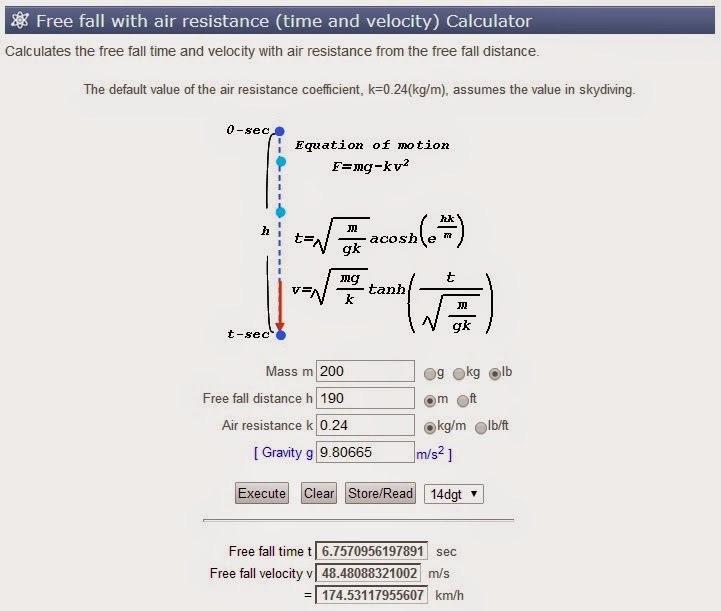 Without even having to perform the calculations myself, I could go to a simple free fall calculator online and execute a thought experiment. 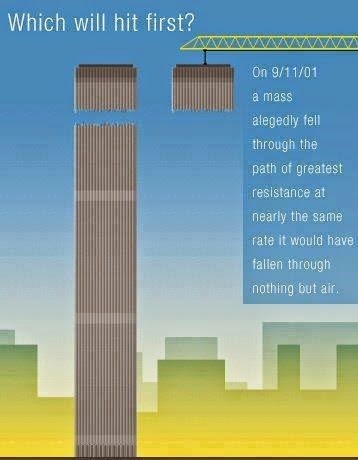 Knowing the height of WTC 7 was 190 meters, I could plug in my own weight and the air resistance coefficient for a person sky diving and calculate the time it would take for me to fall that distance in free fall acceleration. The answer: 6.75 seconds... 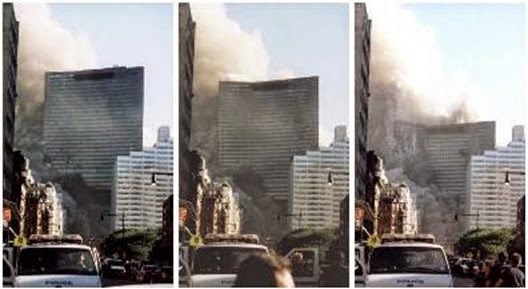 So if I had jumped off the top of WTC 7 the moment it started "collapsing", I would have hit the ground only 1/20th of a second faster than the roof did? 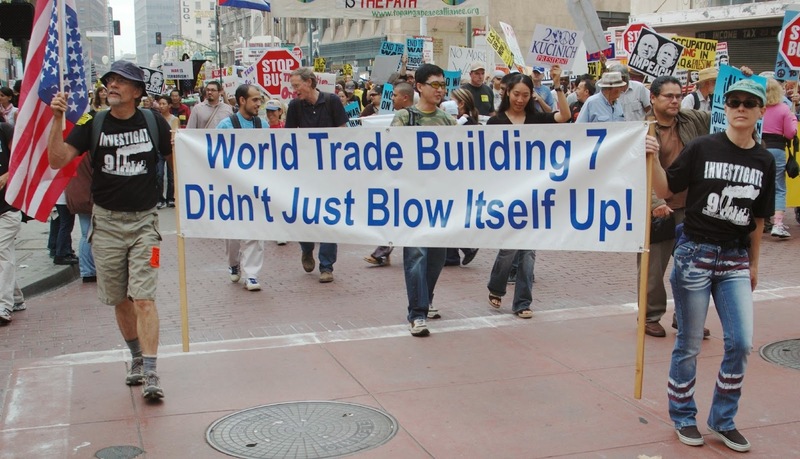 What hits first, my falling body with nothing but thin air underneath, or WTC 7 with 40,000 tons of structural steel to crash through? The question answers itself. The big question was cui bono, who benefited? Who had the motive, the means, and the opportunity to pull this off? I recalled going to the theatre to see Michael Moore's film "Fahrenheit 9/11" and walking away unconvinced. If this was all about making money off oil sales it seemed like there were easier ways to get it done. Eventually I stumbled upon Alex Jones and his film Terrorstorm: A History of Government Sponsored Terrorism. Now the rabbit hole was getting deep and splitting off into a dozen different directions. From the first time I tuned into the Alex Jones Show he begged his listeners not to believe a word he said but to research the facts for themselves, and I took him up on that challenge. Every guest he had was an expert on a different topic pointing me to research Eugenics, the Franklin Cover-up, government drug trafficking, the fluoridation of the water supply and a dozen other topics that I would have dismissed as "conspiracy theories" in my old mindset but now I was willing to approach with an open mind. One of his guests was producer and director Aaron Russo and I watched his documentary America: Freedom to Fascism. His film sent me back 100 years to 1913 where I started researching the creation of the Federal Reserve and the origin of the income tax. Now that international bankers were in my sights, my research took me to Antony Sutton and the powers that bankrolled both sides of the greatest wars of the last century including WW1, WW2 and the cold war. Finally, I started reading the words of the conspirators themselves, books like Tragedy and Hope and The Anglo-American Establishment by Carrol Quigley, The Grand Chessboard by Zbigniew Brzezinski, white papers like Rebuilding America's Defenses by the Project for a New American Century, and declassified documents like Operation Northwoods. Battle of the Bears: Deflation or Inflation? In the first corner, we have Harry S. Dent, Jr. Dent is known for predicting both the decline of Japan and the impact of the Baby Boom generation hitting its peak in spending in the 1990s when most economists were proclaiming the opposite. In his numerous television and media appearances, Dent warns of a stock market collapse and a deflationary depression due to massive debt deleveraging and the mass retirement of the Boomers. His company is Dent Research, where he sells subscriptions and products that promote "capitalizing on the predictive power of demographics". 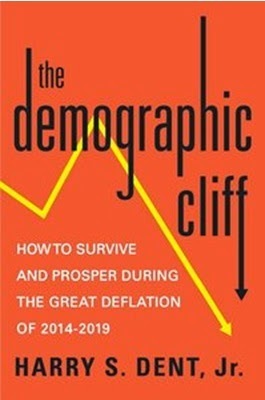 His latest book is The Demographic Cliff: How to Survive and Prosper during the Great Deflation of 2014-2019. In the opposing corner we have Peter D. Schiff. Schiff is known for being the lone voice to warn of the housing bubble and stock market crash of 2008. 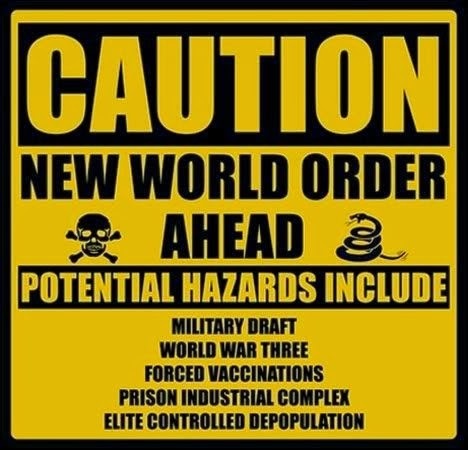 A video compilation of his media appearances between 2006 and 2007 called "Peter Schiff was Right" went viral with 2 million views, showing him make accurate and dire predictions only to be openly mocked by the media. Schiff calls himself the "original opponent of the 2008 Wall Street bailout" because he predicted the government's reaction to the crisis and opposed it in 2007, a year before it was even proposed. In media appearances and on his radio show, Schiff warns that the crash he predicted hasn't happened yet, that what we saw in 2008 and 2009 was merely "the tremor before the earthquake". He is the founder of several companies, including his investment / brokerage firm Euro Pacific Capital, Euro Pacific Precious Metals, and Euro Pacific Bank Ltd. 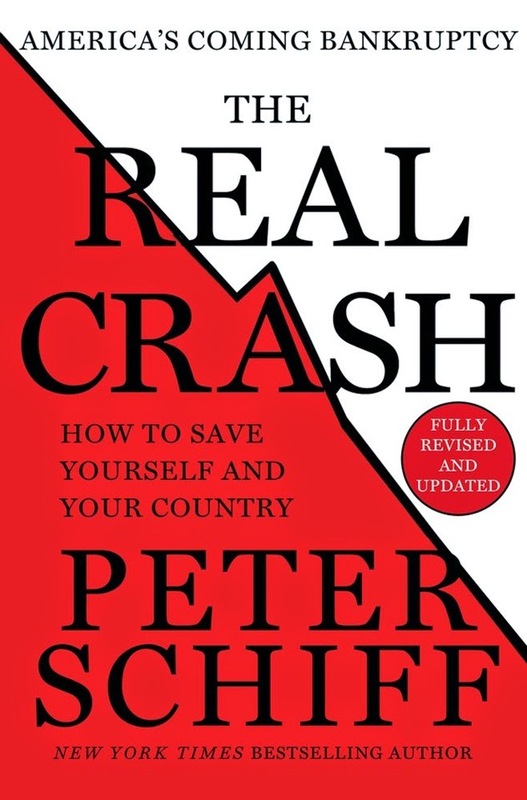 In his latest book, The Real Crash: How to Save Yourself and Your Country, Schiff warns that the twin bubbles of the U.S. dollar and treasury bills will pop when the rest of the world stops trusting America's currency and credit, giving us the real crash. These two men have so many similarities. Both have accurate and less than accurate predictions to their name. They seem to have hired the same graphic designer for their latest books, and David Stockman, former OMB director under Reagan and author of The Great Deformation: The Corruption of Capitalism in America, gave them both favorable reviews. They are both opposed to the government's economic stimulus and both claim that a major crash is coming - warning that our economy is built on a foundation of quicksand. Both have companies and products behind their name and offer advice in their books that will help their readers brace for the storm ahead. They both have explanations for why economies rise and fall, and yet, they disagree on something that would seem to be basic and fundamental: will we have inflation or deflation? The essence of Harry Dent's outlook and the basis for his economic predictions can be summed up in 7 words: People do predictable things as they age. Given the information age we live in, Dent takes readily available statistics like birth indexes and consumer behavior patterns to make both short and long-term predictions. To Dent, demographics is the "ultimate indicator that allows you to see around corners, to predict the most fundamental economic trends not just years but decades in advance". The first step is to identify your peak birth years, like the baby boomers who accelerated in 1937 and peaked in 1961. The next step is to identify the age when the average individual or family spends the most on some good or service. The last step is to perform simple arithmetic and then... profit! For example, the typical household spends the most money overall when the head of the household is age forty-six, so using the powers of addition we arrive at a peak in spending and a concomitant economic boom from 1983 to 2007. Dent argues that despite some bubbles in stocks and real estate that burst along the way, this is exactly what happened. Dent believes this method also works for specialized industries. For instance, we know when the typical family rents an apartment, buys their first starter home, upgrades to a McMansion, buys a vacation home, downsizes to a retirement home, and then goes onto a nursing home. Therefore, we know when we should see these real estate markets rise and fall accordingly. We also know when the average family will spend the most on diapers or potato chips, mini vans or sports cars, prescription drugs or Carnival cruises, so invest accordingly. Dent believes that the single most important factor driving middle class economies is consumer spending by age. In The Demographic Cliff, he states, "consumers are 70 percent of the GDP, and business investment only expands if consumer spending is growing and the government taxes businesses and consumers for its revenues; hence, it follows consumer spending indirectly as well." Indeed, according to Harry Dent, demographic trends are the primary force driving inflation, deflation, and the booms and busts that take place in the economy. Dent states, "Inflation rises with younger people entering the workforce, then wanes after they become most productive in their forties. Deflation can set in when more people retire than entire the workforce." Based on this understanding, Dent found a strong correlation between the growth in the labor force and inflation, with inflation following by 2.5 years. Because he can predict the average number of twenty-six year old who will enter the workforce and the average number of sixty-three year olds that will exit, he can predict workforce growth and inflation nearly two decades in advance. Dent used this "Inflation Indicator" to predict near zero inflation by 2010 in the 1980s, and like clockwork, that's what happened. To Dent, the role of central banks and politicians is of secondary, or even nominal importance compared to demographic trends. Dent states, "The greatest inflation in modern history was not caused by central bankers, nor was high workforce growth in the 1970s caused by politicians. 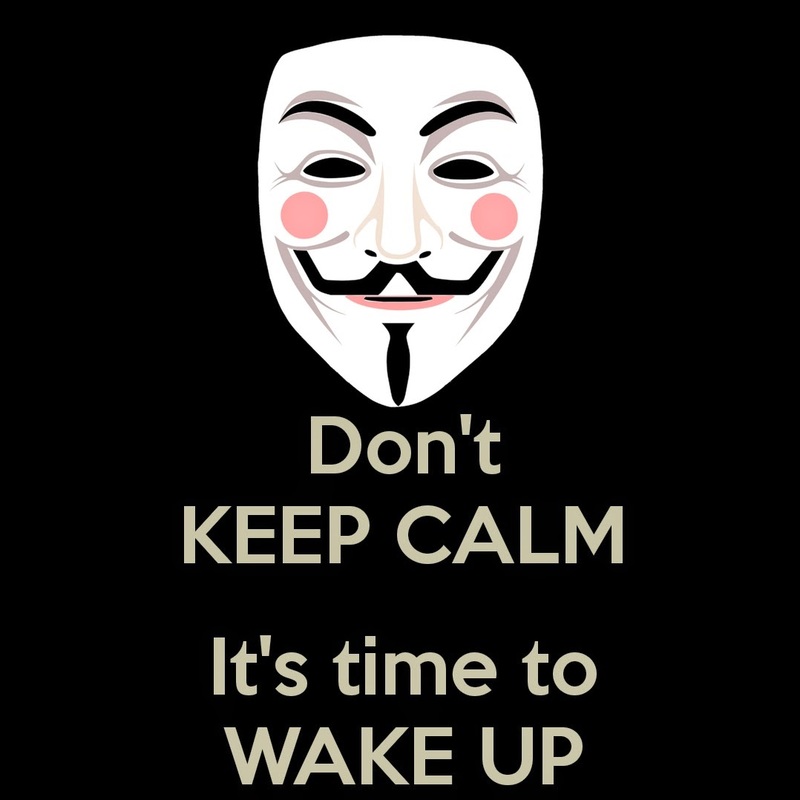 Who would want to create 16 percent inflation and mortgage rates and upset everybody?" "New technologies and generational boom-and-bust cycles create a sustained boom that starts in the spring, hits speed bumps in summer with high inflation (think high temperatures) and falling generational spending that then descends into an autumn bubble boom with rising generational spending and productivity, falling inflation and interest rates. That final boom creates bubbles in financial assets and new technologies and business models that, like after the fallow season of winter, will pay off for many decades to follow, but must first get more efficient by means of the deleveraging of debt bubbles and financial assets (as happened in the 1930's and will occur in the decade ahead). This is a natural cycle of boom and bust, inflation and deflation, innovation and creative destruction that is the invisible hand of the free market system that has driven us to unprecedented wealth and incomes, especially in the last century. But, as we've seen, governments taking more and more of the debt drug have stopped the rebalancing of our economy after a glorious fall bubble boom. That means we won't get to spring and long-term growth again unless we allow the rebalancing and deleveraging to happen." Hence, Harry Dent has major concerns with the governments of the world partaking in stimulus programs - they are directly fighting the natural and unavoidable deflationary "winter season" of the economic cycle. Of the four major challenges that he sees coming over the next several decades, he lists #1 as "Unprecedented private and public debt - we must deleverage in the coming decade, against the determined efforts of banks and governments, or the debt will weigh us down for decades". He looks at the total government debt (19.8 trillion), the total private debt (39.4 trillion), the foreign debt (2.3 trillion) and our unfunded liabilities (66 trillion) to arrive at $127,000,000,000 of debt, or 8.2 times the GDP. This is the elephant in the room that cannot be ignored forever. While Dent shares this concern of our debt with many other economists, primarily those he deridingly calls "gold bugs", this is where we start to see big differences. Dent sees the dollar maintaining its value relative to other currencies, as he believes, "The lesson of the late 2008 meltdown was that the U.S. dollar is the safe haven." He believes it is a myth that "The falling dollar is eroding our store of value and capacity to save". Inflation is not a concern for him - it's as ridiculous as worrying about heavy snow in the middle of summer! Dent predicts gold will continue the decline we've seen the last two years and eventually drop to $250/oz. by 2023. With the demographic cycle and our mountain of debt as more powerful than any other economic factor, Harry Dent is predicting a deflationary depression from 2014 to 2019. This will be when America falls off "the demographic cliff". 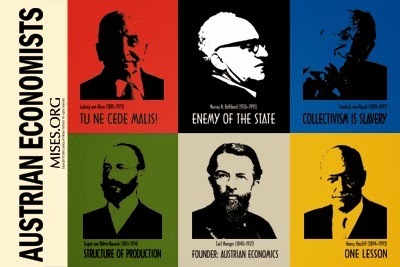 Whereas Harry Dent sees economics as a byproduct of demographic factors, Peter Schiff adheres to the Austrian School of Economics, and next to Ron Paul, he is one of its most famous modern proponents. Schiff had a head start in life in this regard, as he is the son of Irwin Schiff, a libertarian, economist, and famous tax protestor who testified before congress' committee on banking and currency to speak against the repeal of the gold reserve requirements for United States currency in 1968, 3 years before Nixon took us off the gold standard. Irwin, at the age of 86, is currently serving a sentence for tax crimes and promoting his view that the United States government is applying the income tax incorrectly and unconstitutionally. Peter Schiff has spoken about his father's sentence, but I have also heard him tell stories of his father taking him to stores in the 60's as a boy to exchange dollars for pre-1965 coins that had 90% silver content. Growing up, Irwin would also tell Peter and his brother stories that taught economic theory, which eventually came to be published as How an Economy Grows and Why it Doesn't. In tribute to their father, Peter and his brother Andrew released a retold version of that story titled How an Economy Grows and Why it Crashes, which I think is one of the best introductions to economics ever written. "We need to stop bailouts, government spending, government borrowing, and Federal Reserve manipulation of interest rates and debasement of the dollar. We need to reduce government spending so we can offer real tax relief to the productive sector of our economy. We need to repeal regulations, mandates, and subsidies that create moral hazard, lead to wasteful and inefficient allocation of resources, and artificially drive up the cost of doing business and hiring workers. We need to let wages fall, allow people to pay down debt and start saving, and allow companies to make capital investments so that America can start making things again." "Just as the housing bubble delayed the economic collapse for much of the last decade on the strength of imaginary wealth, the government bubble is propping us up now. The pressure within the bubble will grow so great that the Federal Reserve will soon have only two options: (a) to finally contract the money supply and let interest rates spike - which will cause immensely more pain than if we had let this happen back in 2002 or 2008; or (b) just keep pumping dollars into the economy, causing hyperinflation and all the evils that come with it. The politically easier choice will be the latter, wiping out the dollar through hyperinflation. The grown-up choice will be the former, electing for some painful tightening - which will also entail the federal government admitting that it cannot fulfill all the promises it has made, and it cannot repay everything it owes. In either case, we'll get the real crash." Schiff is concerned about our 127 trillion debt and some of the other same economic indicators as Harry Dent, he just has faith that our government is going to make the same mistakes that they've been making the last few decades. It's like watching a twilight zone fire department attempt to put out fire with gasoline. It would be great if they'd admit their incompetency and try using water, but this is an institution that has been taught and trained to do things their way for decades. So if you had to take a bet if the fire would continue to grow or get extinguished, knowing what you do about the people trying to put it out, where would you put your money? "Need to pay off the national debt? Fine, just print more money, and pay it off with that money. Need to pay for unsustainable entitlements like Medicare and Social Security? Fine, just print more money, driving up nominal wages and thus tax revenue." The second big difference between Dent and Schiff is to question what other governments will do when it's clear that the United States has neither the means no the ability to pay off its debts without massive inflation. Dent argues that it doesn't matter, the dollar will not lose value because other countries are also inflating, and besides, 2008 taught him that the dollar is the save haven. Schiff asks the question, will that dynamic last forever? "As of 2010, 60 percent of foreign exchange reserves are in U.S. dollars. That means, as a foreign country, you're willing to take dollars because you know some other country will be willing to take dollars. That other country will take dollars because some third country will take dollars. If this sounds familiar, its because we've seen it before. In 1999, people were investing in dot-coms not because they thought these companies might make a profit, but because they thought someone else would be willing to buy the stock at an even higher price. In 2006, people were buying houses not because they thought the house was worth that much, but because they thought they'd be able to flip it for more money to someone else. This is only slightly different from a Ponzi scheme. It all depends on the existence of a greater fool. Eventually you run out of fools and the bubble pops." "Unfortunately, the only way the Fed can keep rates artificially low as inflation rises is to create even more inflation. Our creditors are only willing to lend us money at low rates because they believe inflation is not a problem, and that if it were to become one, the Fed would quickly extinguish it. Once they discover otherwise, our creditors will refuse to lend. So to keep rates down, the Fed will have to buy any bonds our creditors will refuse to roll over. The problem is that the more money the Fed prints to pay off maturing bonds, the more inflation it must create to buy them. This process feeds on itself. Soon it's not just Treasuries the Fed has to buy, but all dollar-denominated debt. No private buyers will purchase corporate or municipal bonds at rates far below the official inflation rate. That is when its balance sheet really explodes. Soon the inflationary fire threatens to burn the dollar and our entire economy to a cinder. At that point the only choice is between hyperinflation and default. This is the rock and the hard place the Fed will eventually be between." Dent may have a point when it comes to the role of demographics in economic trends. It is plausible that you can foresee when the economy will need more apartments vs McMansions vs retirement communities based on the years since the baby boomers peaked. But to ignore the power of a government that will do anything to maintain its status of having the world's reserve currency or of the reckless nature of politicians that will do anything to stay in office is to pretend that the hyperinflations of Weimar Germany or Zimbabwe never occurred. If the bankers are willing or forced to print endless amounts of money, then we will see inflation, demographics be damned. Now that we've reviewed the cases for deflation and inflation from two leading experts that both predict a coming crisis during this supposed stimulus-induced recovery, let's take a step back and revisit our core definitions. Recently the Austrians have been mocked and accused of making up their own definition for inflation out of thin air, but in actuality there has been a difference of opinion on this term for over 100 years, making meaningful discussion of this concept all the more difficult. 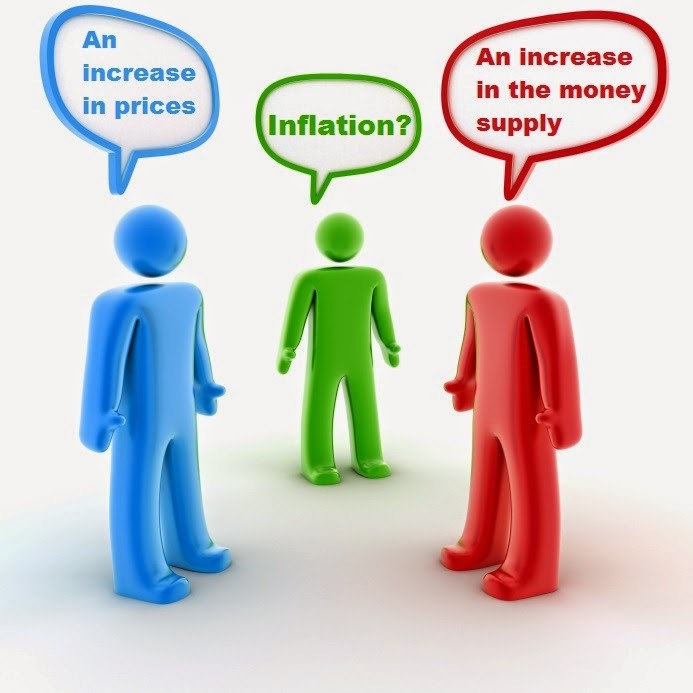 As Robert Murphy recently wrote, Ludwig von Mises and other proponents of the Austrian School of Economics refer to the object of inflation as the money supply itself, while other economists refer to inflation as a rise in the price of goods. Specifically, Mises said the only rational definition of inflation would be "an increase in the quantity of money … that is not offset by a corresponding increase in the need for money." This qualifier is important, because according to the Austrian school an increase in the supply of money and an increase in prices are not the same thing or even a necessary consequence of each other. True, if you imagine a thought experiment where you magically double the supply of money that everyone possesses and hold everything else the same, then twice the number of dollars would be chasing the same amount of goods and services so you would see those prices increase. But in the real world there are many factors that could drive prices down, including demographics and other consumer trends. So all the Austrians can say is that logically, an increase in the supply of money will increase prices higher than they would otherwise be absent that increase in the money supply. What would the prices be absent the inflation of the money supply? It's impossible to say. Maybe other factors would have driven prices down 10%, but due to the inflation of the money supply they only went down 5%. In this case an inflation of the money supply didn't result in "prices rising" - so it's important to distinguish the two. "All debt and financial asset bubbles are followed by deflation, not inflation or hyperinflation. The core theory behind the hyperinflation view is that governments, by endlessly inflating, create inflation. The argument is that this causes a debasing of the currency, robbing you of your purchasing power and standard of living. This is simply not the case, and if you don't understand what actually causes inflation and why it is often not a bad thing, you will make bad investment decisions." "Since its invention in 1971, the ever-multiplying microchip has created a revolution in human communications. The microchip's rapid evolution has also been a clear sign of progress and a harbinger of a higher standard of living. So why would the multiplication of dollars not also be a sign of progress that similarly fosters a revolution in urbanization, a more complex and richer specialization of skills, and an improved standard of living? We're not talking about the recent QE here. We are talking about the story of economic history: more dollars per person and, more to the point, increasing urbanization that leads to rising affluence and the need for more dollars for transactions." "For most of our country's history, the dollar gained value. The dollar was worth 75 percent more in 1912 than it was worth in 1800. You know those stories were your parents or grandparents tell about how they used to buy a sandwich and a fountain soda for a dime? How everything was so much cheaper back in the day? If you were around in 1900, for instance, the old folks didn't tell those sorts of stories. What cost a dime in 1900 probably had cost fifteen cents in 1875, and twenty cents in 1800. Of course, since 1912, the dollar has lost more than 95 percent of its value. What cost a nickel in 1912 costs a dollar today. What cost $50 in 1912 costs $1,000 today." "Inflation discourages savings and encourages consumption. If you save your money for later, you know it won't be worth as much later. That means you may as well spend it today before it loses its value. Savings are the only way an economy can progress. Only with savings does anyone have the capital or the leisure time to make machines, invent something new, or launch companies. So by discouraging saving, steady inflation stultifies economic progress." "Are you better off than your great-granddaddy was? Indeed you are: after adjusting for inflation, wages are 7.1 times higher than in 1900, the very period of rising inflation and the supposedly falling "value" of the dollar. Hence, it's not the "value" of the dollar but what your income in dollars will buy over time that counts." The purchasing power of the dollar has dropped while real manufacturing wages have increased (according to government CPI). So which is it, have we gotten richer or poorer than our grandparents? Finally we come back to something that Schiff and Dent would agree on, the "value" of the dollar cannot only be expressed in nominal terms, but in relation to other items. But while Dent points to the conveniences of modern times in proof that the "Purchasing Power of the U.S. Dollar" chart is misleading and wrong, Schiff has made the opposite case through real world examples. In one broadcast, Schiff expounded on the statistic that in 1947 the average non-farm worker made $50 per week. Translating this into "real money" (gold), that would be 1.4286 ounces of gold a week (at $35/oz. ), which today would be $1,928.61 per week (at $1,350/oz.). But back then people didn't pay income taxes, so instead of making the equivalent of $108,002 a year, assume 30% more from income tax and you arrive at $140,401 per year. Now recall that today the average person makes $43,000 per year, and that person is probably a college graduate. Now the mystery of how the average worker in 1947 with nothing but a high school degree could afford to support a wife and 5 kids in a house with a two car garage - he was making 3 times as much! In another episode Schiff reminisces about the Brady Bunch and wonders how a modern day Brady Bunch could afford their live-in house keeper, Alice. Again, we arrive at the same conclusion: back then Mike Brady, an architect, could afford a 4 bedroom house, a live-in house keeper, 6 kids, a wife that didn't have a job, and 2 cars. That show wasn't based on science fiction - that is how the average American could live back then. "Slow, steady deflation, though, is the natural state of things in an economy with sound, stable money. Think about it this way: does creating a particular product or performing a particular service generally become easier or harder over time? In most cases, it becomes easier: your computer becomes faster and the software gets better. Manufacturing equipment improves. Through practice, people figure out more efficient ways of doing the same thing. So as widgets get easier to make, the cost of production goes down. In a competitive market, this will bring the price of the widget down. In other words, what we see with electronics would be the case with everything. As long as you keep pace with the market, you can keep your pay steady, but prices will fall. That way, you're getting richer." Indeed, we should be getting richer. Absent the government interferences described in The Real Crash, we should be enjoying all the material goods of modern technology while at the same time being able to work less and enjoy more leisure. We should be working 10 hours per week and living in a Jetson's world, but instead our government seems intent on returning us to the world of the Flintstones. Given the hero like status I confer to Peter Schiff it's hard to come off as objective. That said, since I've been fearing inflation and preparing for the collapse year after year, I wanted to give Harry Dent the benefit of the doubt and let him make his case for deflation with an open mind. After all, he shares many of the same concerns as other economists I respect, so maybe he is just seeing something that they're not. Needless to say, I came away from his book very much unconvinced. What I admire in people is consistency, and that is not something I find in Harry Dent. While Dent claims to "espouse free-market capitalism as much as anyone", he goes on to call for a carbon-tax to "account for costs that the free market can't control", he supports government enforced savings programs to "combat our worst tendencies to not save", he says we need more government and more taxes to fund it because "Capitalism cannot excel in a libertarian society", and he supports a government-driven one-payer system for the most basic health care services because that brings "universal care and economies of scale and bargaining power to lower costs". With a friend of free markets like that, who needs enemies? 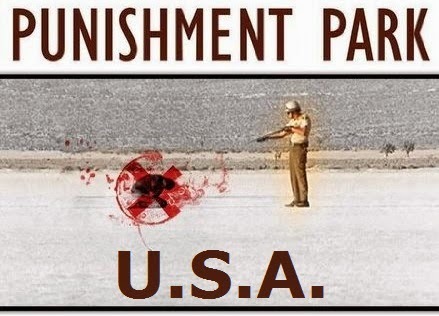 Often, politicians and journalists say it in order to justify government interference. We can't just live this up to the market, because the market doesn't work here. Health care is too different. Or people say "health care is different" as a way of explaining away all the problems regarding health care in our economy. It's easier than trying to root out the causes. But no, health care isn't that different. The laws of supply and demand still apply. If health care seems to operate outside the normal laws of economics, it's because our government treats it so differently." From there Schiff goes on to explain the how the third-party-payer problem, the tax deduction on health care, over regulation of insurers, Obamacare, socialized medicine, the employer-based insurance system, malpractice reform, the FDA, and the licensing model for doctors all conspire to wreck our healthcare system one way or another. He explains the history of each government intervention and logically traces how it has caused a problem. That problem only leads to another "solution" by government intervention, which leads to another problem, until we get to the point that we're at today where a supposed supporter of free-markets like Harry Dent is endorsing a full-blown single-payer socialized healthcare system as the solution. If there is something to be gained from Dent's book, I find some of the detailed investment advice interesting, such as when would be the best time to invest in apartments, starter homes, or retirement / vacation homes. He believes that businesses that focus on health facilities, nursing homes, and assisted living care facilities will be needed for the next few decades - that makes sense. But given his overall outlook on the future and his severe lack of solid economic theory, I'd take his advice only for short-term investments that I'm willing to lose. When it comes to where I'm putting my money for the long-term, I'm unconcerned with The Demographic Cliff and I'm preparing for The Real Crash.